Daintree Wildlife: Daintree Discovery Guide is here. 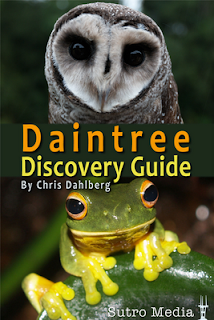 Daintree Discovery Guide is here. Migratory birds have started arriving. Birdwatchers on the river report Brown-backed Honeyeaters and Metallic Starlings have arrived and Brush Cuckoos are vocal at Wonga Beach. At long last. Especially handy north of the river.